Nothing says Halloween more than a sinister black candy coating. The perfect recipe for a Halloween party this October. 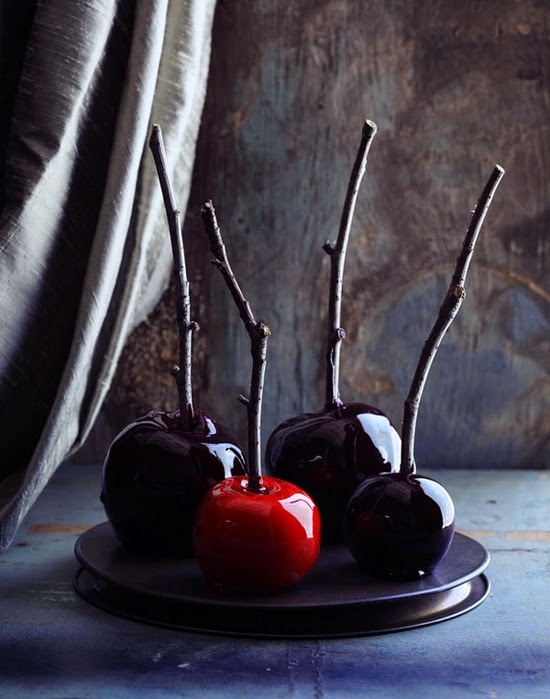 See more Halloween recipes on Pinterest. Grease a piece of baking paper and place on a tray/baking sheet. 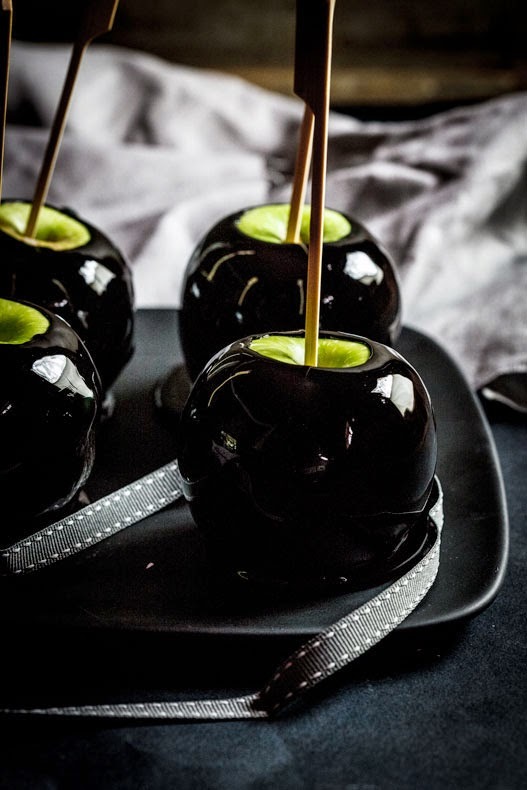 Carefully dip the apples into the hot candy mixture and place on the baking paper to set and cool for approximately an hour before serving.